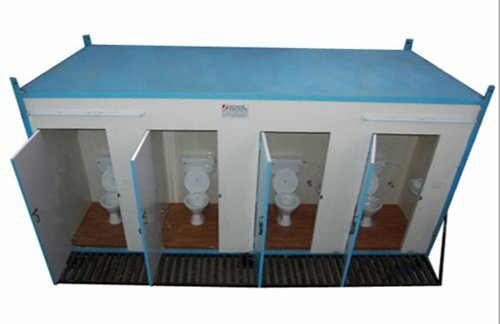 Our Mobile Toilets at SAMAN POS India Pvt Ltd features an élite range of prefabricated products with broad features and benefits. Manufactured with state-of-the-art technology and industrial grade raw materials, our container toilet is a convenient and low budgeted choice for residential and commercial platforms. With availing our customized portable restrooms & toilets, you can enjoy tremendous advantages which are unavailable in permanent toilets. A Mobile Toilet provides financial relaxation to organizers when planning for outdoor works. installing toilet remains the first priority of every business organization while executing commercial activities. Constructing traditional brick & mortar toilets may be a great idea for a business with fixed location. However, installing mobile toilet not even costs a portion of the investment if you compare it with permanent structure. For building a traditional toilet, a business has to go through a long process such an attainment of land permit, hiring labors, accumulating raw materials and essentially, the time consumption for final construction. 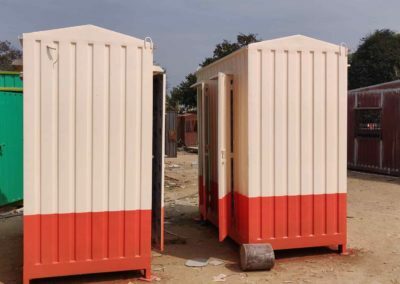 While it may range between months for a permanent structure for being operational; a mobile toilet in contrast barely takes a couple of weeks. As the end-products are pre-manufactured, they offer ample of flexibility during the fitting process. Neither it involves a long force of labors nor it requires any particular supervision. Installing a prefab toilet will cost you a significantly lower cost than constructing a permanent toilet. Building a permanent structure needs a hefty investment directed towards workforce compensation, raw material acquisition, contracting construction equipment, allotting land spaces etc. Furthermore, the maintenance & refurbishment cost is also highly chargeable. Our Mobile toilet comes straight from the manufacturing unit, approved through a rigorous procuring method and then supplied to you ultimately. As they are already pre-engineered, you save a lot of money and time, and utilize them in your core tasks. Fabricating traditional toilet results in several environmental problems such as land pollution, sound pollution etc. Apart from that property damage and personal damage also is a major concern associated with Permanent Structures. As it’s not a onetime thing, the same environmental issues are bound to happen again during building repairs, demolition and refurbishment procedures. 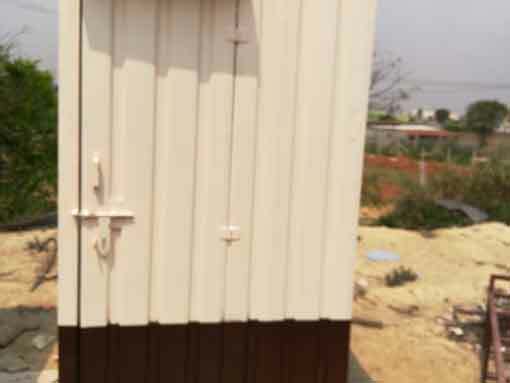 Hence, we at SAMAN POS India Pvt Ltd has emerged as India’s top provider of Portable Toilet, which are manufactured with eco-friendly and renewable ACP materials. As they come pre- engineered, it by default removes the necessity for on-site construction works, which adds up to an improved environment. Whether you rent some private bathrooms or build your own at a remote location, maintaining proper hygiene in extremely crucial. Maintaining sanitation in toilets become a debacle when the events stretched from days to weeks. Likewise, water facilities and plumbing often become a roadblock for businesses. 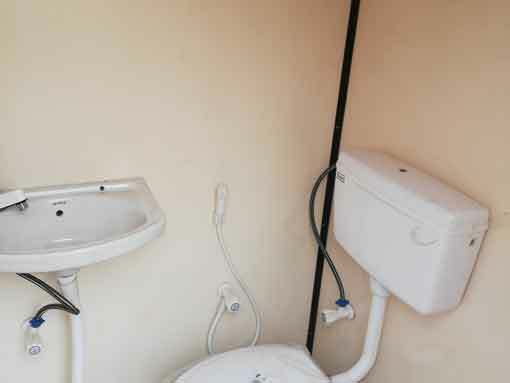 Our mobile toilet is an epitome of comfort and hygiene. You can construct an extra water conservation tank and store bulk water for emergency situation. You can also get them modified for safe wiring and an additional space for fixing an exhaust fan. To keep the drain water away from the toilet, you can fit a long pipe that stretches far away from the operational area. 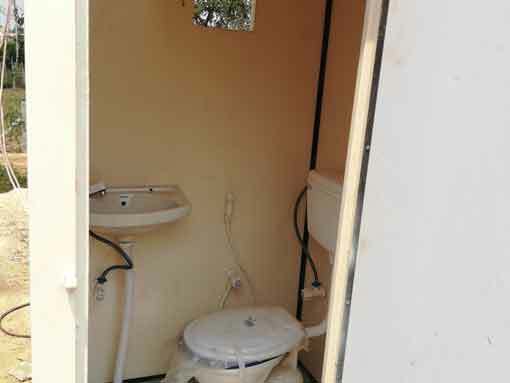 Our Mobile toilet provides greater comfort to the users even in the outmost part of India. As they are easy for assembling and transportation, you can install a fully-built restroom for your employees. Instead looking for alternatives, your employees can enjoy the comfort of a fully functional bathroom. Moreover, you don’t have to worry about constructing any new structures. With portable restrooms, you can easily modify the spaces as per your workforce’s population. As your employees are your greatest assets, and a valued employee can return the favor through their efficiency. Our Mobile toilet is perfect for companies whose essential responsibilities includes traveling to diverse places. In such circumstances, developing brick & mortar buildings seems irrational as that would result in massive financial losses. Using our customized portable restrooms, you not only save your money but also saves days of hassle and inconvenience. 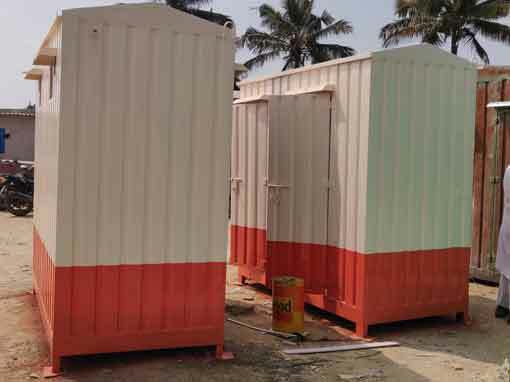 Our mobile toilets are made from durable ACP Materials which works for decades without decline in quality. Also, their foldable and light-weight features let you load them in the truck and carry them anywhere you go. Our portable restrooms consist of a wide range of shapes, sizes, and layouts. We have a team of professional designers that take your necessity into consideration and produce contented and elegant portable structures by employing advanced methodologies. Our business emphases on adressing the requirement of multifaceted companies. 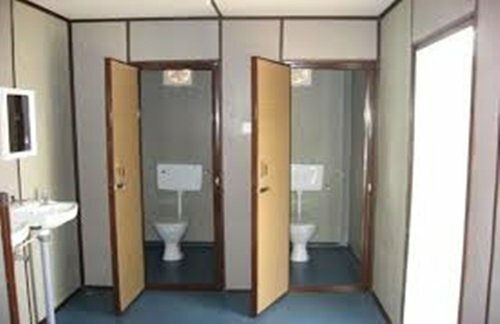 We provide single and enclosed mobile toilet as well as large scale of toilet cabins in a single platform for large workforces. We provide customizable toilets and restrooms allowing you to install various accessories. 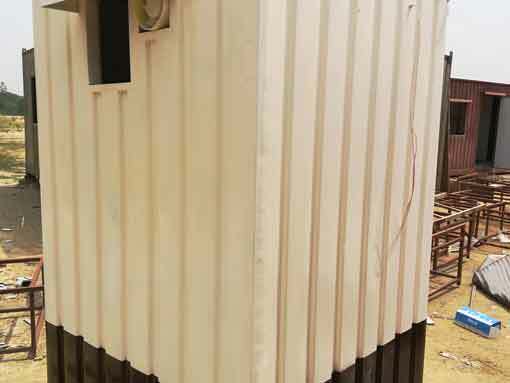 Mobile container structure is defamed for their Unsafe, fragile and shock-prone structure. However, it’s a complete myth. 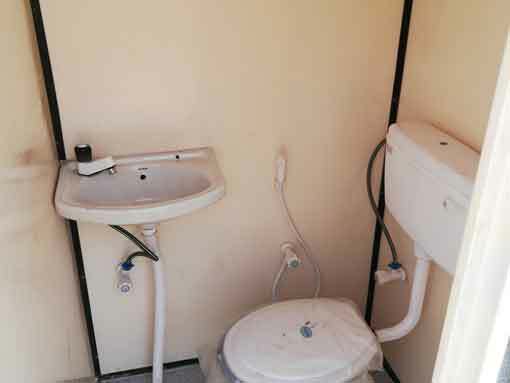 In real, a mobile toilet offers much more safety features as compared to a traditional structure. 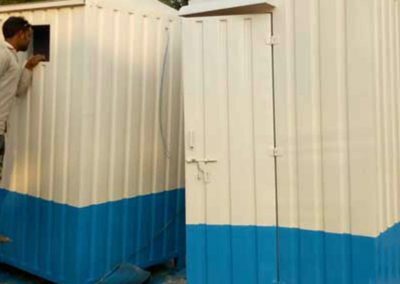 the robust legal code implementation on container homes, made it possible for companies to experience safer version of mobile restrooms at affordable cost. The law enforces all manufacturing companies to follow the standard safety procedure. 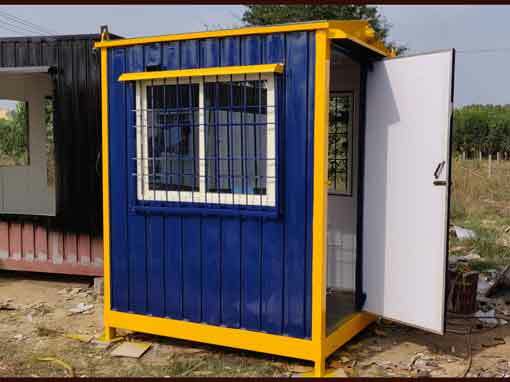 Portable cabins from SAMAN POS India Pvt Ltd are specially designed to withstand the harsh climate condition of India. Our Portable toilet is produced by utilizing finest ACP materials and sophisticated technologies, making them highly resistant to corrosion, heavy impact and electrical shock. 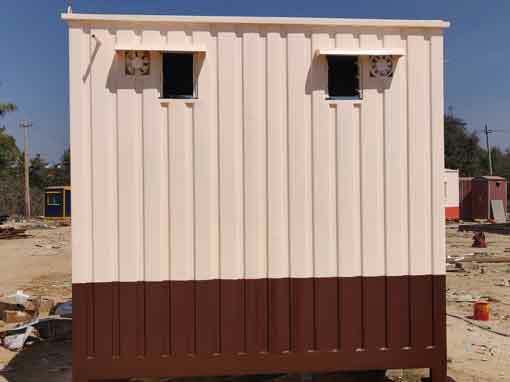 Furthermore, our prefab toilets can easily withstand cyclone, earthquake and other natural calamities.